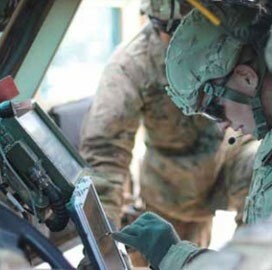 Twelve companies have received contract modifications worth $800 million in total to continue to offer information technology application services to the U.S. Air Force via the Network-Centric Solutions-2 vehicle. The Air Force first announced the 12 small business awardees on the potential $960 million NETCENTS-2 indefinite-delivery/indefinite-quantity contract in June 2012. Work covers sustainment, integration, training, migration, testing, operation and help desk support services for various applications across the military branch, the Defense Department said Tuesday.